different photographic opportunities. The photographer will give you all of the photo details as well as some helpful tips and hints. He will explain the camera settings and why they were used. There is also a detailed, interactive map of every PhotoSpot in the collection. Hopefully with PhotoSpot WDW, the next time you are at the Walt Disney World Resort you will be able to take the type of pictures you’ve always dreamed of. 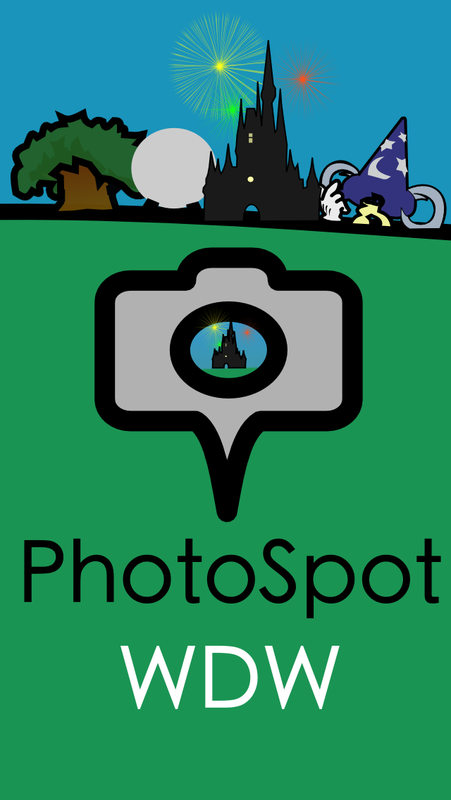 With the app you get included 20 PhotoSpots from around Walt Disney World. For each of these spots the photographer (Bill Sferrazza) will show you the photo that he took and all the information you need to recreate it. As well as the initial PhotoSpots you can buy addition collections of PhotoSpots looking at different areas of the parks, and different specialist areas too. A photo from each of these collections can be seen in the gallery on the side. There is also a Four Parks group, which includes the collections for the four parks at a reduced price. Follow us on Facebook at facebook.com/PhotoSpotCollections where we will keep you informed of everything that is happening. How can I show off my photos? You can either join our Facebook group PhotoSpotGroup, or post your photos on Twitter using #Photospot#Disney. From time to time we will be giving prizes for the best PhotoSpot photos that people have taken. Those photos are awesome, who took them? I would like to thank Lou Mongello and his WDW Radio show for giving me the inspiration for this app. If you are interested in Disney then I recommend his show, and if you are planning a trip then do get his new book, 102 ways to save money for and at Walt Disney World. In the “Castle in the Morning” PhotoSpot we have now given you an extra hour lie-in, as the timing for the breakfast reservation should be 8.05 not 7.05, and the recommended hour to arrive at the parks is also an hour later.